"A group of people who love pets, and believe they deserve the same quality products as humans do.We also believe that it is our responsibility both as owners and as humans to keep our planet healthy and learn to use earth resources in an ecologically and ethically responsible manner. We put a lot of time, effort and love into making our products." When I was asked to review this brand of natural linen products for pets, the first thing I did was watch a video about all of their pet products. You can view the video below to get a look at almost everything Linentails has to offer. 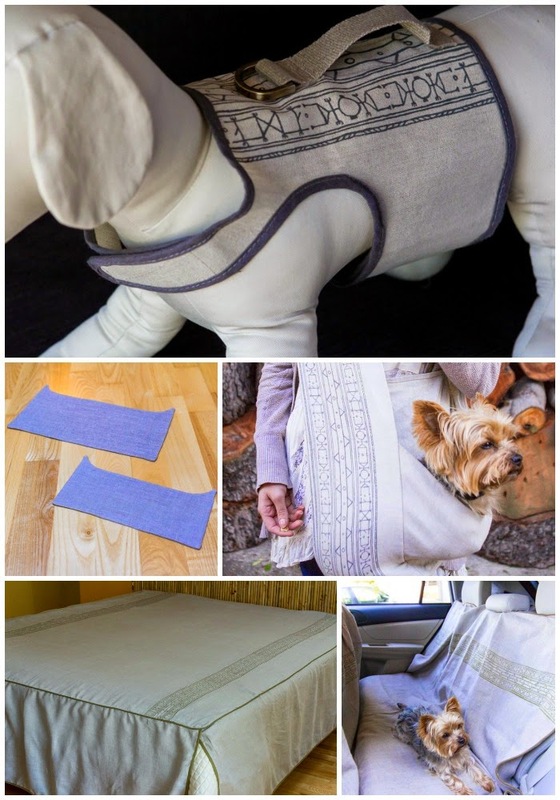 As you can see, Linentails has a line of natural linen products with items like pet slings, dog harnesses, car seat covers, bed covers, and more. One of my favorite products from this company is the "The Pick-Up Line". If you watched the video, that is the harness with the handle on it. At first, it might be alarming to see someone pick up a dog like this. So let me tell you why I think this product is awesome. Many small dogs suffer from arthritis or back injuries and don't like being picked up because of this. The ergonomic handle on The Pick-Up Line allows pet parents to safely pick up there pets without injuring their dog. I can also see this dog harness being extremely useful for dogs who are having a hard time walking. 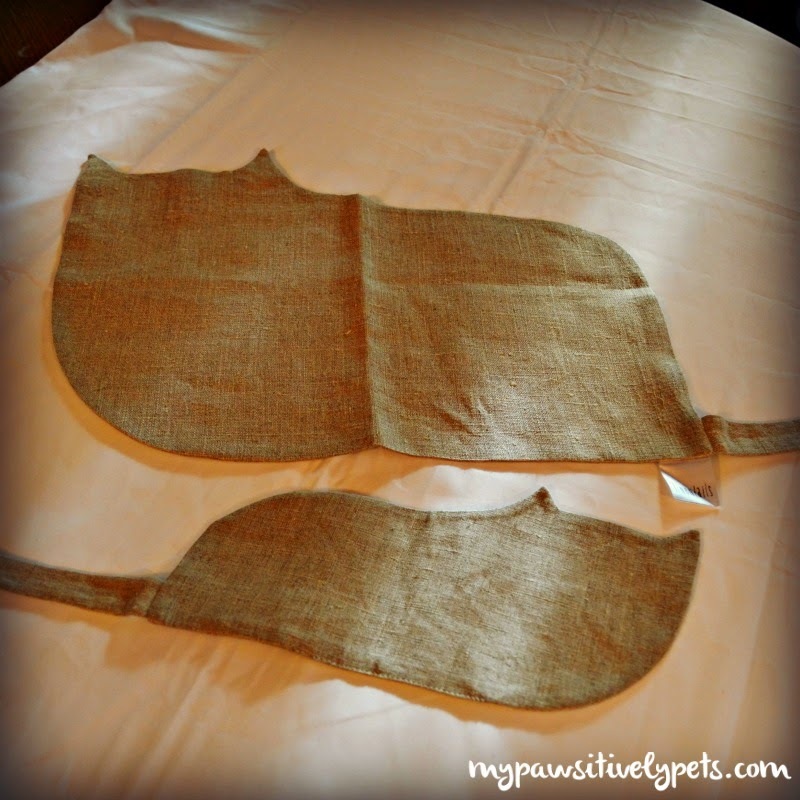 Many times, a towel or belly sling can be used to help these dogs walk outside and go to the restroom. The Pick-Up Line is perfect for this sort of situation. Plus, it's just down right cute! I really wish The Pick-Up Line came in Shiner's size, but it is made just for small dogs for the time being. This dog harness from Linentails comes in 3 sizes for dogs up to 18 pounds. 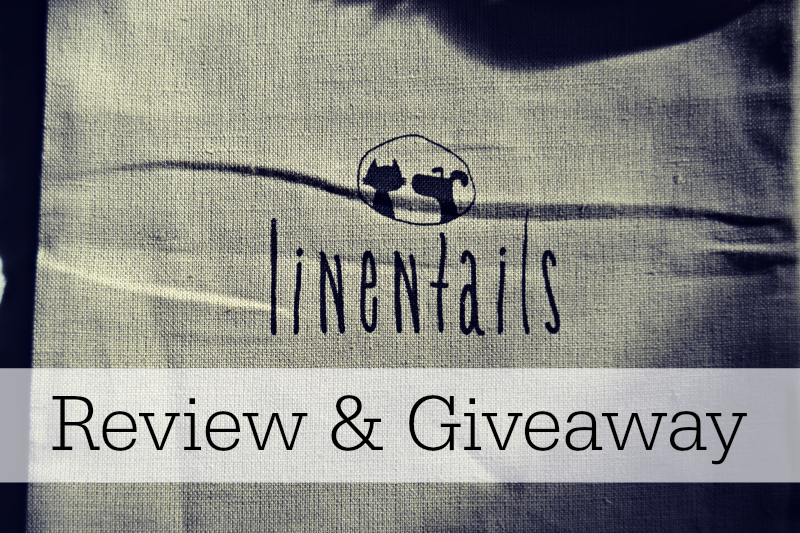 Linentails sent us their Kitty Coasters to review and give away. Kitty Coasters can be used to add a decorative touch to your home or as a food mat for your pet. They are made from the same fine durable linen as the rest of their products. I love the Kitty Coasters we received and think they add a very cute touch to our home. And I love the wide variety of different products in the entire line of Linentails natural linen products for pets. If you're interested in purchasing products from Linentails, you can visit their website HERE. I noticed that they are currently having a holiday sale so it might be a good time to take advantage of this and save. As part of our Black Friday Holiday Giveaway Event, we have teamed up with Linentails to bring you another giveaway! You can enter to win a set of Kitty Coasters just like the ones that we received. This giveaway is open to US residents only, ages 18+. This giveaway ends on December 6th at midnight CST. To enter, simply fill out the Rafflecopter form with as many entry options as you like. Good luck! This post is sponsored by Linentails. I was compensated for my time reviewing and sharing Linentails, but Pawsitively Pets only shares information we feel is relevant to our readers. All opinions expressed here are our own. I really like that vest and the snuggle and stride. I could see Carma in the vest and Scooby using the Snuggle and Stride for when we are out and about. I think the kitty coasters are pretty darn cute! My best friend has a cat that enjoys hopping on her table, and I think it would be pretty cute to see him sitting alongside a kitty coaster, haha. I love the Clean Companion in Art Deco Kitty. Thanks for the giveaway. I went to their site and like the tabbletop tabbies. I like the Snuggles n Stride in Puppies First treasures. My little chen would very much like the Faerie Puppies In Linen - Olive in Small. It's so pretty.It has two little pups on it with butterfly wings- they look like doggie angels! I love the pick up line because I live in a neighborhood where some people do not think to put their dogs on leashes and we are often rushed by larger, aggressive dogs. The little handle on the top would help me to pick Sissy up in a hurry. I like the clean companion, what great idea! I love the Kitty Coasters! They are so cute and simple! I like the pick up line vests. I like The Pickup Line for the dogs.